Gun Toten Mamas® Concealed Carry Purses Vs. Concealed Carrie®: Which is Better and Why? If youre looking at buying either a Gun Toten Mamas® concealed carry purse or a Concealed Carrie® gun handbag and arent sure which brand is the better choice, youre not alone. We regularly receive phone calls from customers asking for a gun purse recommendation. As an online retailer of concealed carry purses, we love both brands and both are customer favorites. With women the fastest-growing segment of the gun industry, applying for concealed-carry permits in record numbers, concealed carry purses are some of the fastest selling self-defense products on the market. 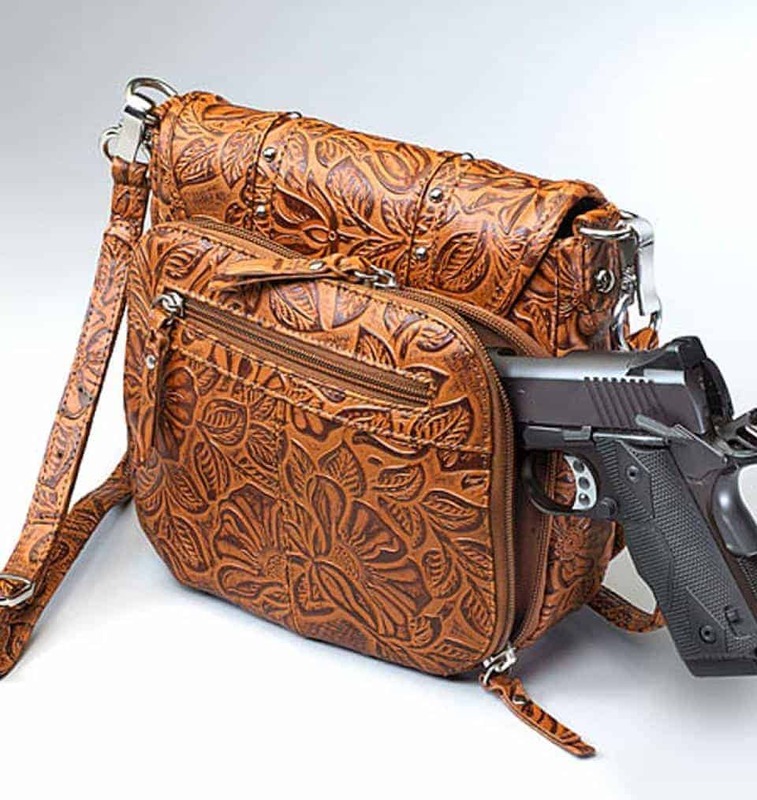 Gun Toten Mamas (GTM) is owned by Kingport Industries, a Certified Women Owned Business, which exhibited their womens concealed carry handbags at the Shot Show for the first time in 2008 to rave reviews. With the positive reaction to their product, the company expanded their line and now make dozens of different bags, including crossbody, range bags and styles for men like the GTM-155 briefcase. They are known for quality, affordable CCW bags with slash-resistant straps that have been tested by firearms instructors. Gun Toten Mamas purses sell like hotcakes. Concealed Carrie, a newcomer to the concealed carry purse industry, has garnered lots of attention in the press and from customers in recent years, due to the high quality of its bags and unique styles. 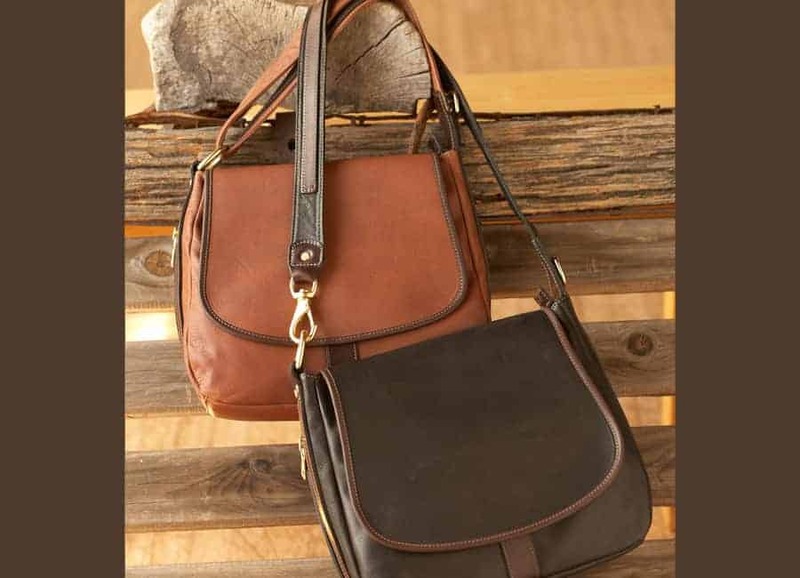 Our best-selling bag is the Concealed Carry Aged Leather Satchel in brown (with black a close second). Concealed Carrie is owned by Leslie Deets out of Georgia, who pays attention to every detail of her business operation. We are one of Concealed Carries largest online retailers. If youre looking for a gift for that special concealed carry permit holder, there are several factors to consider; use of the purse (office, casual use, evenings out), demographic of recipient, the size of the firearm, budget, and taste. A great bag for organization is the GTM-12 Jennifers Traveler, with pockets for everything. If your gift recipient wants bling, the GTM-16 Simple Bling in tooled leather offers the durability of leather with a touch of stylish pizzazz. Or consider the GTM-99 Security Shoulder Holster Bag which offers five different colors and looks and is a great mid-size handbag with lots of versatility. The Smooth Black Leather Tote in black and red, made by Concealed Carrie, is made of quality leather for durability and is great for safety, since it can be held close to the body. We have fashion stylists available to help you select a CCW purse thats right for you or your gift recipient. Call us or email at sales@gunhandbags.com for selection assistance. No matter which brand you buy, youll love your bag!